There's almost nothing we love more than a jumbo-sale shopping spree—especially when a new season is in full swing. What's not to enjoy about bargains and newness being ready at the same time? In case you didn't know, The Outnet's massive clearance sale has begun, and it's as good as you'd hope. So, yes, it's a particularly joyous week here at Who What Wear UK. We know from our inside sources that the majority of pieces in the clearance have such a low depth of stock that it's common to only find one of each piece. (That's one of each piece, people.) To help you find the best pieces first, we have combed through the entire clearance to bring you the best of the bunch. There are plenty of key pieces for spring summer 2019, including belted tops and slinky slip dresses. However, this clearance is arguably best for wardrobe staples. We've even found a Marni midi skirt for under £100, Marc Jacobs jacket for £165 and must-have Derek Lam 10 Crosby off-white jeans for £34. Yes, we said £34! 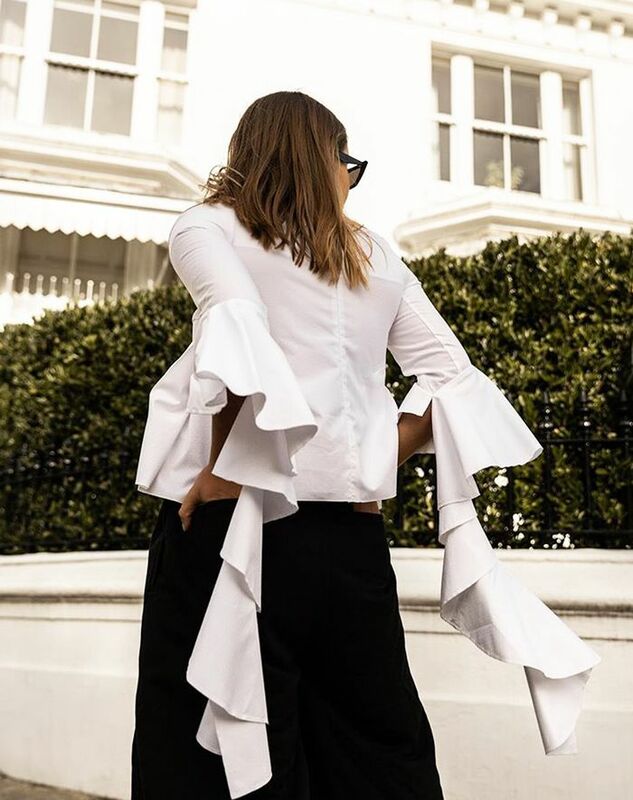 Hannah Crosskey wearing Ellery from The Outnet. Keep reading to see what we'd pick from The Outnet's clearance sale. A dress by The Row will stay in your wardrobe forever more. Pair with jeans and you're good to go. Off-white jeans will never fail in the outfit department. A slip dress is always a winner. They'll go with everything–from jeans and a tee, to fancy frocks. Trust us—you'll wear this every summer. Because we all need a "wow" dress. A printed midi will go a long way in your wardrobe. We're big fans of this collab. You'll never tire of a cream knit. You'll get this back out for every event. We'll always love a cord jacket. A printed coat is the statement we all want to make. Don't hang around—they won't stay in stock for long! Next up: 20 things our fashion editors are buying right now.